Like a young adult on a wild caffeine boost, Bo's Coffee's expansion drive -- the picture of sure and steady all these years -- is about to go hyper. 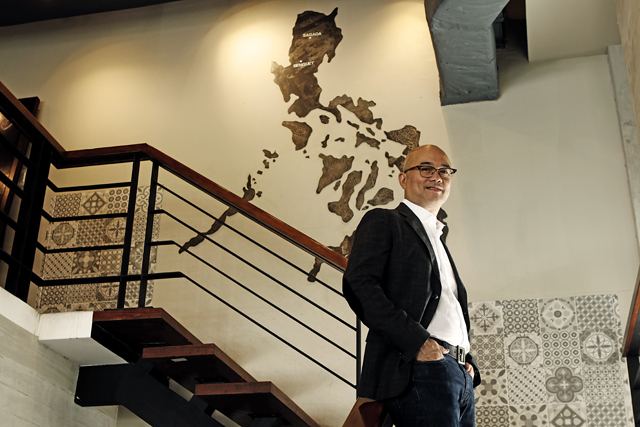 Steve Benitez, the Philippine specialty coffee shop's founder, took all of two decades from 1996 to 2016 to build around a hundred branches. He now aims to open his next hundred in just four years, bringing the total number of branches to 200 by 2020. The plan entails a rate of expansion of 25 branches per year -- five times more than his past record. He is also opening Bo's Coffee's first overseas branch -- in Qatar -- in the first quarter of 2017. 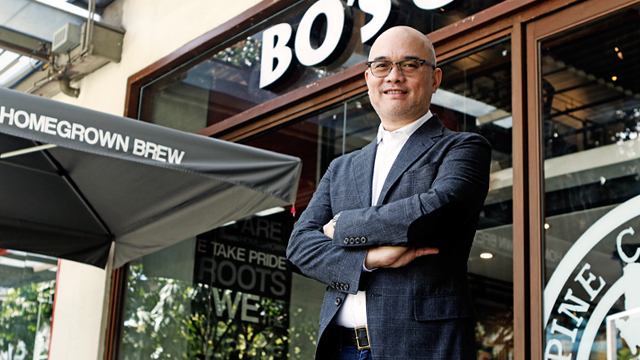 Though that makes his coffee shop chain one of the few Philippine brands to have gone abroad, he says Bo's Coffee's priority is to expand locally rather than internationally. “We want to focus on our growth in the Philippines first. And then, three years down the line, or by the time we hit 200 stores, we’ll spread out to other areas abroad where there are Filipino communities,” said the 50-year old Benitez. He was selected in May this year as one of the world's high-impact entrepreneurs by Endeavor, an international organization that celebrates the role of entrepreneurship in bettering society. “You have to be king in one kingdom first before you start conquering other kingdoms,” he said. Though rapid expansion is tough, Benitez is well-placed to oversee the process. Thanks to his selection as a high-impact entrepreneur, he enjoys access to Endeavor's network of global and local business mentors to give him advice. As well, private equity fund Navegar, the Philippine partner of European fund manager Brummer & Partners, recently invested in Bo's Coffee. Brummer & Partners is a leading European alternative asset manager with over $17 billion in assets under management. Navegar invests exclusively in established Philippine companies with placements of up to Php1 billion. 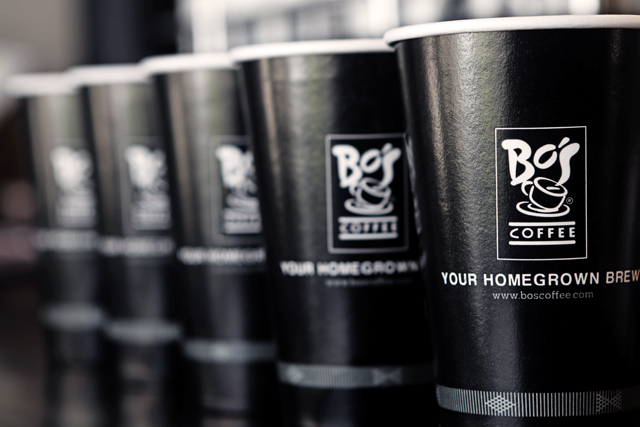 The journey of Bo’s Coffee hasn’t always been a perfect brew for Benitez. Nobody except Benitez. Before establishing Bo’s Coffee, he spent two years researching the market abroad and saw that coffee stores were picking up in other countries. He recalled how the “turning point” of his decision to pursue the business was when he attended a food show in Singapore and saw several coffee shops littered around Orchard Road. “If it clicked in a tropical country like Singapore, it’ll click here,” he said. A year after he opened his first cart, international coffee giant Starbucks entered the Philippine market, and other big names soon followed suit. That led to a new set of challenges for Benitez, who had opened 10 stores in Cebu and Davao before entering Manila in 2003. After working hard to give his branches an international look and feel, Benitez made sure to inject touches of Filipino culture into the design. 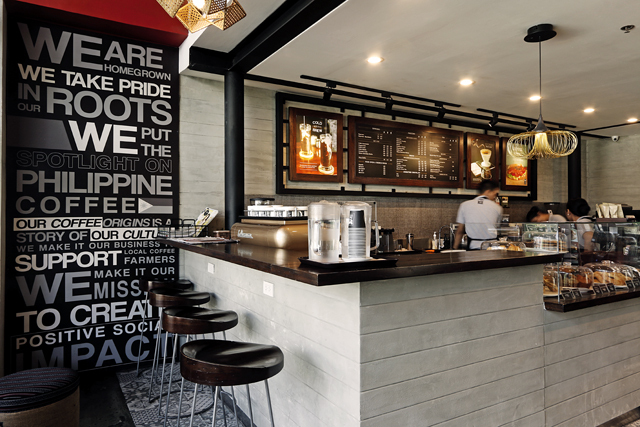 Each Bo’s Coffee branch uses Philippine-made furniture and lighting fixtures, and each barista’s uniform is woven with Philippine fabric. The stores also have prints of the Philippine map on its walls and entrances. That Philippine touch also extends to the coffee chain’s menu. The store has special brews using coffee beans harvested from mountains around the country such as Mt. Apo and Sagada. Many branches also carry food and drink items made by partner local enterprises. 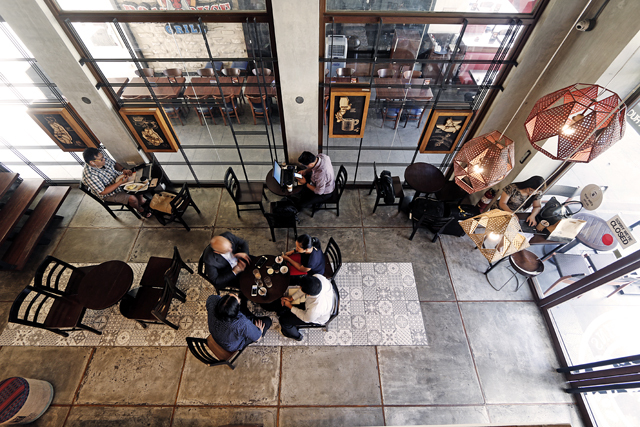 Carving that Filipino identity helped the business develop and own the niche for Philippine specialty coffee, which established it as a leading industry player. Bo’s Coffee will end the year with 100 stores, the second biggest network after Starbucks in the Philippines. Benitez also reveals that the company is on track to hit its target of Php1 billion in system-wide revenue by next year, which counts sales from both company-owned and franchised branches. About six out of ten Bo's Coffee shops are owned by WS and Landin, the company set up by Benitez and his partners to operate the shops. The rest are run by franchisees. In 2014, WS and Landin's profit almost tripled to Php28.2 million from the year before as revenue rose by more than a quarter to Php286 million, according to the company's financial statements. Bo's Coffee's economic impact goes beyond financial numbers. It is widely seen as a rare example in the Philippine retail industry for its partnerships with social entrepreneurs who care about sustainability and the local farming communities they work with. The coffee shop chain empowers these farmers and entrepreneurs by providing them with a nationwide distribution channel for their products. In the process, it also promotes inclusive growth.